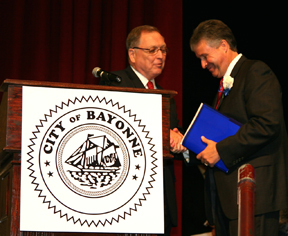 On a hot July 1st day the City of Bayonne welcomed a new Mayor and City Council with a mass celebrated at St. Henry’s Church and then the official swearing in ceremony of Mayor -Elect James Davis and his City Council running mates: Sharon Nadrowski, Juan Perez Thomas Cotter, Salvatore Gullace, and Gary LaPelusa Councilman at Bayonne High School Auditorium. 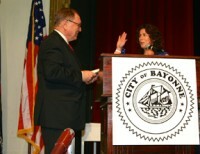 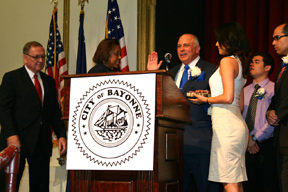 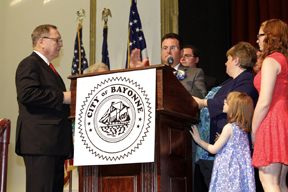 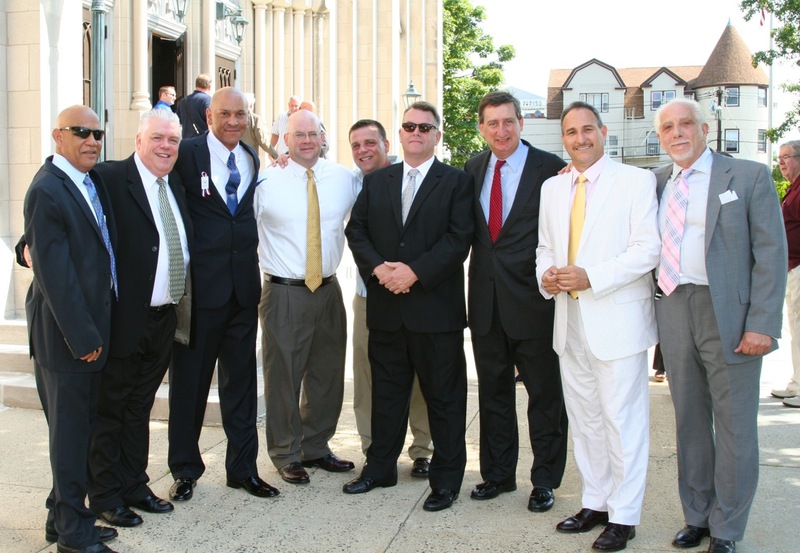 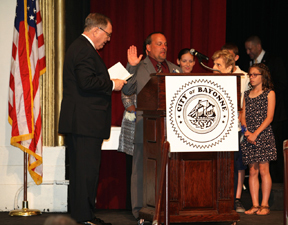 Yesterday’s swearing -in ceremony presented some firsts in the History of Bayonne. 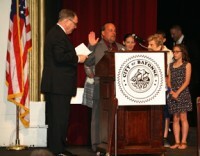 Sharon Nadrowski, elected the first woman Council President and Juan Perez the first Latino to sit as a councilman in the history of Bayonne. 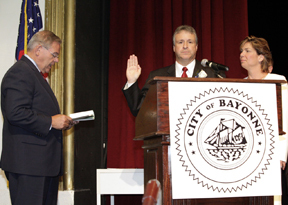 Menendez later said when speaking about the Mayor ” Mayor Davis that has a great ring to it.” which was met by a thunderous applause by the the family, friends of the new Mayor and his City Council. 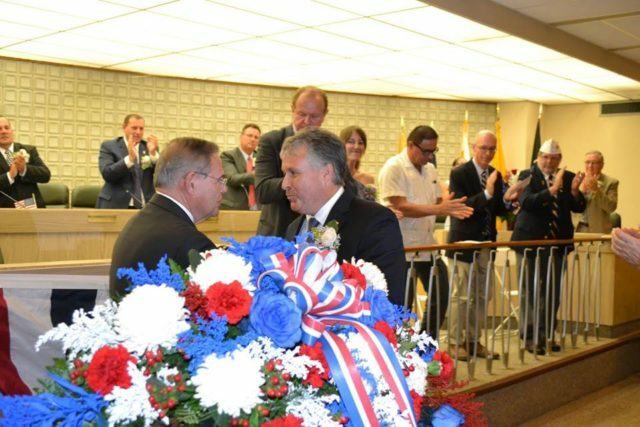 Along with Senator Menendez, Congressman Albiro Sires was in attendance and many other current and former dignitaries and politicians from Hudson County. 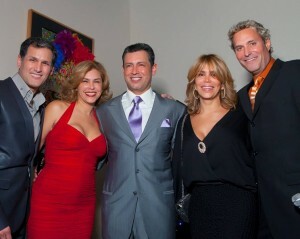 Son Cubano restaurant celebrated its opening at The Shops at Riverwalk in West New York and promises more exciting events to come, including a New Year’s Eve celebration.